Visit a grisly crime or globe museum, a gruesome crypt, a museum of fake art and a challenging maze. Austria’s capital city, Vienna lies along the Danube River. The city is famous for some of its notable residents, like Beethoven, Sigmund Freud and Mozart. It is also well-known for its beautiful imperial palaces, like the Habsburg’s summer residence, Schönbrunn. Vienna is also noted for the Museums Quarter district with a mixture of elegant historic and modern buildings, housing exhibitions of the works of Gustav Klimt, Egon Schiele and others. However, Vienna also has a more hidden side that you won’t see on the average tour of the city. Here are five unusual, and often weird, sights you should see on a visit to Vienna. These off-the-beaten-path attractions include the Criminal Museum with its grisly depictions of murder, a museum dedicated to globes of the world, a crypt housing the remains of tens of thousands of people, a museum displaying only fake works of art and a challenging maze. This museum is not for the faint-hearted. As noted by the official website, there are some shocking things displayed in the Kriminalmuseum, including medieval torture devices, blood-stained gloves, skulls, death masks and depictions of brutal murder. Exhibits date from the Middle Ages up to the present day and relate to murder and crime. The Crime Museum is housed in the Seifensiederhaus (Soap Boilers House) in Leopoldstadt and is pretty historic itself as it dates back to 1685. Anyone who still believes the world is flat (yes, they are still out there!) should probably visit this museum. 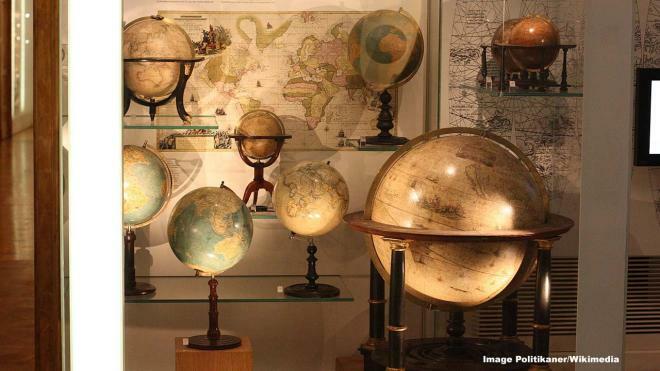 It houses globes of the world dating back to the 19th century, when they were often made as a pair with a globe of the world and a celestial globe. This is reportedly the only public museum in the world dedicated solely to globes and it is an astonishing and beautiful display of our ever-changing world.